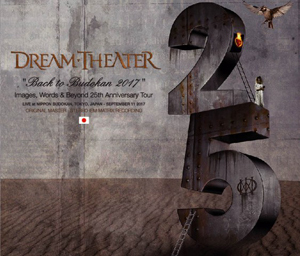 "Mixed DREAM THEATER’s Budokan live show celebrating Images, Words & Beyond for broadcast by wowow." The show took place on September 11th, 2017 at the Budokan in Tokyo, Japan. The tracklist for the release is available below with more details to be revealed soon.